Perched atop Naubath Pahad hillock, Birla Mandir was established by Birla Foundation. 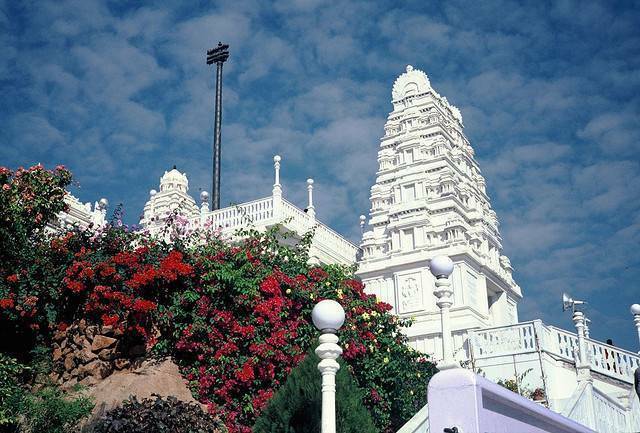 The Mandir which sprawls over 13 acres of land is dedicated to Lord Vishnu. Entire temple is constructed using tons of white marble. Main sanctum sanctorum has 11 feet tall deity of Lord Venkateshwara (Lord Vishnu). Beautifully carved lotus stands like an umbrella over the deity. You can see the engravings of teachings of holy men and selected Gurbani lines on the walls of the Mandir. The place is renowned for its calmness and most suitable for meditation.